KANSAS CITY, Kan. (WDAF) — Saved by the grace of God: That's what one metro family is saying after a freak accident over the weekend. 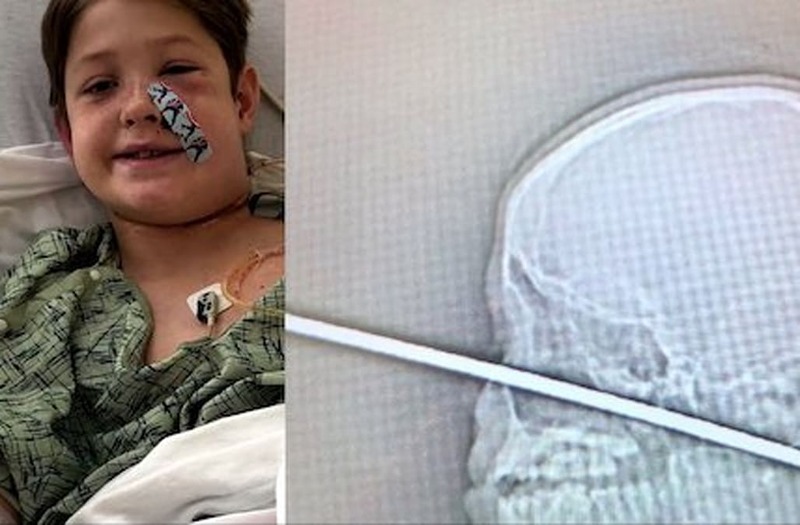 Ten-year-old Xavier Cunningham landed on a meat skewer that was sticking straight up out of the ground. Thankfully, surgeons at KU Hospital successfully removed it from the boy's face Sunday. His family says him being alive is nothing short of a miracle. "He could've bled to death in that field, covered in yellow jackets," Xavier's dad Shannon Miller said. "It missed his brain. It missed his brain stem. It missed the nerves, everything that`s valuable in your head. It missed everything," Xavier's dad said. "I said, 'Lord I don`t care. I know you have a plan,'" Miller said.